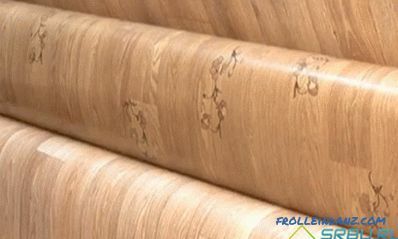 Arbolite is described in most sources as a material with wonderful properties. Advertising articles extol arbolitovyh blocks, material flaws are modestly silent. But miracles do not happen, there are drawbacks too. 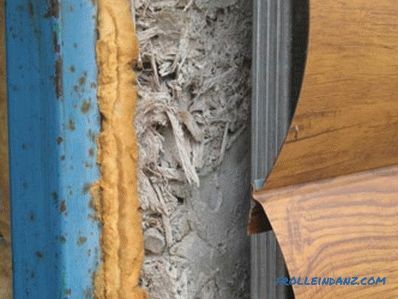 In order to make maximum use of positive qualities and to level negative ones, it is worthwhile to thoroughly understand the properties of wood concrete, its characteristics and application features. We begin our material with the composition and production process. The fact is that the quality or performance of certain processes depends on the presence or absence of certain material defects. And this is very important. Wood concrete is positioned as one of the varieties of coarse lightweight concrete. It uses wood chips as a filler. Chips are bound in a monolithic structure by cement paste. mixtures for pouring enclosing structures in place. Masonry blocks have found the widest application, and the term "arbolit" means, first of all, they. The most common size of wood blocks is 500 * 300 * 200 mm. But in recent times, manufacturers began to expand their product lines and offer arbolit in other sizes. 1. GOST 19222-84 "Arbolit and products from it. General technical conditions". 2. SN 549-82 "Instructions for the design, manufacture and use of structures and products of arbolita". # 1. Wood chips. The final strength strongly depends on the caliber of the chips. 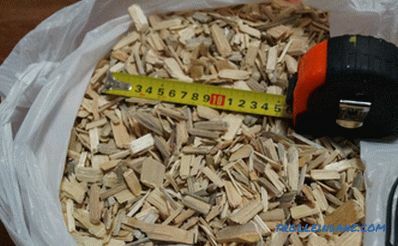 In order for the output to be exactly arbolit, whose properties are strictly normalized, it is wood chips that should be used for production. Its dimensions are regulated. 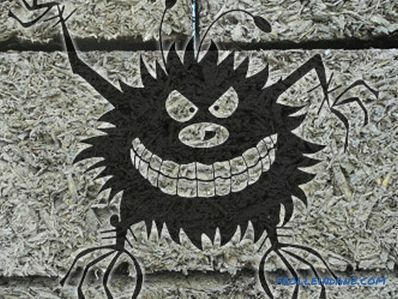 GOST recommends a maximum particle size of 40 * 10 * 5 mm (length / width / thickness). thickness - 3. .5 mm. 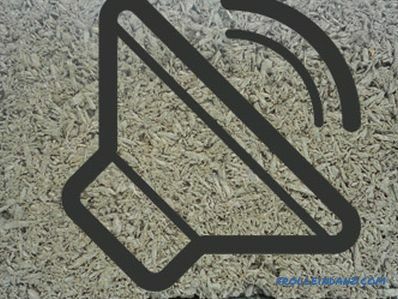 Sawdust, chips, spill, fire, straw, and everything else that they are trying to mix with cement for the production of wood concrete, is not suitable for its manufacture. Only clean chips without bark, leaves, soil and other undesirable impurities. It is believed that adding up to 10% of the bark or 5% of the foliage does not seriously affect the characteristics of wood concrete. But it is better when these impurities are absent. Often the production of arbolit blocks, organized at sawmills and other wood processing enterprises. For them, arbolit is not a profile direction. As a result, dishonest manufacturers, to increase the profitability of production, in addition to the chip itself, add what is available. Hence the unpredictable product quality. In specialized enterprises, productive roller crushers are installed, calibrated to the required chip size. For the end user, the type of wood from which raw materials are produced does not matter much, but technologists must take this into account in order to properly dose mineralizers and select the degree of compaction. So, larch wood chips require double the amount of additives relative to other conifers. More often than others, pine and spruce go to the production of wood chips, less often hardwood. # 2. Chemical additives. The wood filler contains sugars that prevent the high-quality adhesion of the cement paste to the surface of the wood particles. 1. Drying raw wood before use in production for several months. 2. The mineralization of the surface of the chips in the solution of chemical components. reducing the permeability during operation of the finished product. To solve all these problems, the following components can be used in the production of wood concrete: calcium chloride (GOST 450-77), liquid glass (GOST 13078-67), silicate lump (GOST 13079-67) , Sulphate of alumina (GOST 5155-74), lime (GOST 9179-77). Chips are poured into a forced-action mixer. Conventional gravity mixers do not provide sufficient homogenization. The water with the dissolved mineralizer is mixed and evenly distributed over the chip surface. Stirring takes place for 20 seconds. At the next stage, cement is added. Stirring with cement lasts 3 minutes. # 4. Cement. Material strength sufficient for use in construction is achieved only when cement with a grade not lower than 400 is used. 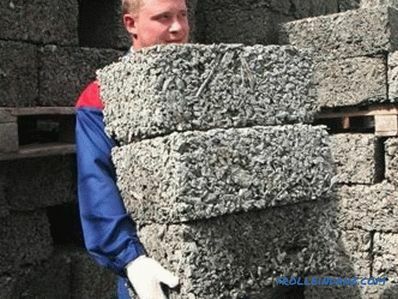 Cement tends to quickly lose its mark during storage. Even at the exit from the factory, cement often does not meet the stated characteristics. 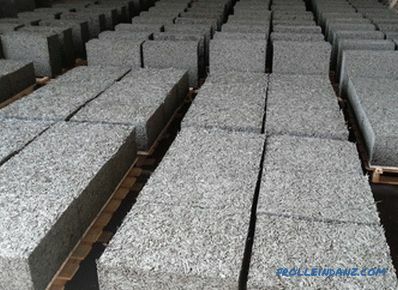 Therefore, it is better when arbolite blocks, the technical characteristics of which must meet the requirements for structural materials, are made of 500th cement. Production on a vibrating machine with cargo. The mechanization of processes allows to obtain higher-quality and parameters-stable arbolite blocks. At the same time the sizes, geometry and density remain from a product to a product. Keeping the product in the formwork is used in the cottage industry, when too much liquid consistency prevents the removal of the formwork immediately after molding. In general, the form is removed without exposure. Raw blocks remain on the removable bottom tray or directly on the floor of the workshop. Arbolite blocks, whose composition is the same, can get different characteristics depending on the method and degree of their compaction. The main purpose of pressing the mixture in the form is not to increase its density. The main task is to create a structure uniformly distributed in volume from an arbitrarily oriented chip, completely covered by cement paste. Vibration during compaction is applied very metered. Excessive vibration results in precipitation of cement paste at the bottom of the mold. It is important to maintain its uniform distribution throughout the volume with a full cover of the filler grains. Even in high density arbolite chips does not float in a solution of cement with water. Cement paste works like glue, covering the filler grains. Only the concentration of chips in the volume and the thickness of the cement stone covering it change. The blocks are compacted to values ​​sufficient for the mutual reorientation of the filler grains and to increase the area of ​​their contact. Compression and deformation of the chip itself does not occur. This ensures that the size of the block is maintained after removal of the sealing force. Exceeding the water-cement ratio reduces strength. Excessive plasticity prevents the raw block from being taken out of the mold immediately after molding. Increases the storage time of the block on the pallet to the primary setting. 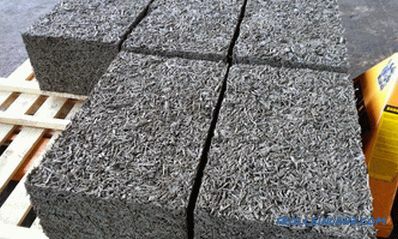 The concentration of the mineralizing chips going to the wood concrete is important for the strength and durability of the material. The dosages of the components given in the regulations are designed for a specific gauge of aggregate and its humidity at a level of 25%. The optimal dosage is chosen empirically based on tests of finished samples. The temperature of the solution of water with mineralizers is important for the hydration process. It should not be less than 15 ° C. To set the required temperature in the cold season, the water is heated or kept in a heated room.Chemical heating of water is also possible when CaCl2 is used as a mineralizer. The determining factor is the density of the product. 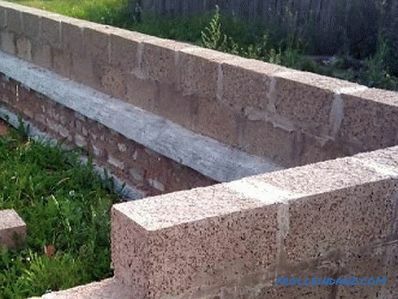 It is believed that blocks with a density of up to 500 kg / m 3 are not suitable for use in supporting structures. 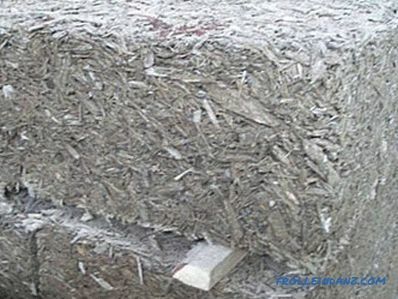 But they can be used for thermal insulation in the construction of external walls in buildings, where the load from the roof or floors is perceived by the columns or other elements. 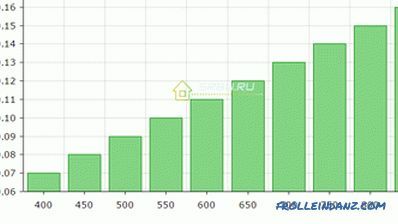 Typical for building blocks are density values ​​ranging from 550 to 700 kg / m3. But you can buy products with a density of up to 850 kg / m3. 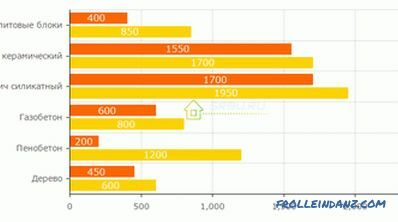 Too high values ​​indicate a good load-carrying capacity of the elements, but are inferior to more light in heat-insulating qualities. The density of the material is measured at steady-state mass, when the unit stops losing moisture. Walls of cast arbolit may have a density of about 300 kg / m3, but in terms of their bearing capacity they are not inferior to folded stones with a density of 550 kg / m3. The bearing capacity of blocks is characterized by their compressive strength. According to the test results, a brand and a class of compressive strength can be assigned to the products. In general, they are related to the density of materials. As in the case of products from heavy concrete, the grade is an average value according to the results of tests of a batch of samples. The class characterizes the guaranteed strength, 95% of the samples must comply with the class. For real tests with a good sample, the relationship between the brand and the class through conversion factors is not correct. In this case, the gap between the brand and the class can tell about the culture of production in the enterprise. The smaller the gap, the higher the organization of production. In the domestic practice of manufacturing arbolit blocks this is taken into account with the help of coefficients of variation. For products of the 1st quality category, a value of 18% is allowed, for the highest - 15%. In the brickwork, the small size of the products makes the concept of classiness meaningless. When buying large masonry stones, such as wood concrete blocks, it is worthwhile to give preference to products with an assigned class. For the construction of load-bearing walls of one-story buildings up to 3 m in height, it is allowed to use class B blocks. 0. For higher walls, class B items are required. 5. 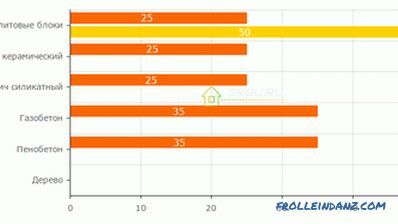 For 2 or 3 storey buildings they use blocks of classes B 2. 0 and B 2. 5. 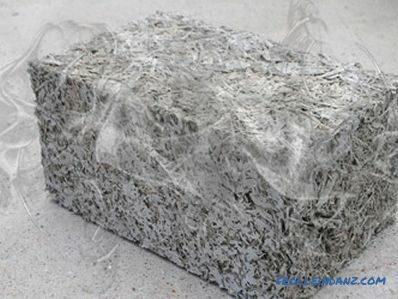 Arbolit's compressive strength is typical for cellular concrete. An important difference is the strength of the blocks in bending, which is from 0.7 to 1.0 MPa. The modulus of elasticity of elements can reach up to 2300 MPa. Such values ​​make arbolit special among cellular concrete. If for foam concrete and aerated concrete there is a high probability of crack formation, then for arbolit such a problem is not worth it. 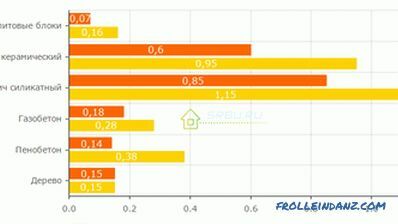 Thermal conductivity for wood concrete is one of the key parameters. GOST recommended thickness of enclosing arbolit structures in temperate latitudes is 38 cm But walls of such thickness are rarely erected. In practice, for the walls of residential buildings, blocks of 500 * 300 * 200 mm are placed flat in one row. Together with the interior and exterior trim, this is enough to maintain a comfortable temperature in the rooms without causing problems with condensation. Additional thermal insulation is often performed using warm plastering systems with a thickness of 1.5-2 cm with the addition of perlite. For unheated or periodically heated premises (baths) often used masonry blocks on the edge. In the characteristics of wood concrete, water absorption values ​​are indicated up to 85% for heat-insulating blocks and up to 75% for constructional ones. These values ​​require reflection. 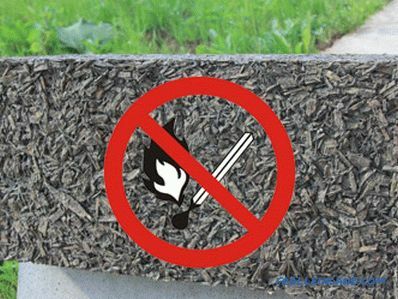 The structure of the block is a scattered grain of wood chips glued together with cement stone. They are oriented relative to each other randomly. Water poured on the surface of the unit flows freely through it. Naturally, when dipping water can displace a large amount of air contained inside the unit. If the block is pulled out of the water, the water flows out and the cement stone dries quickly. 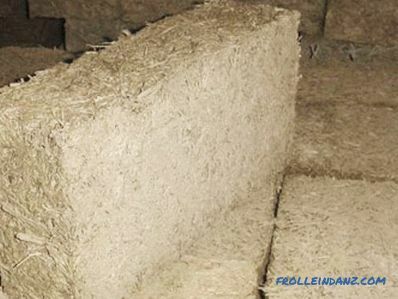 Arbolite blocks in their natural environment, for example, in the wall of a house, do not actually accumulate moisture in themselves from the surrounding air. This is due to the very low sorption moisture of the material, since the mineralized chips and cement are non-hygroscopic and poorly wettable materials. 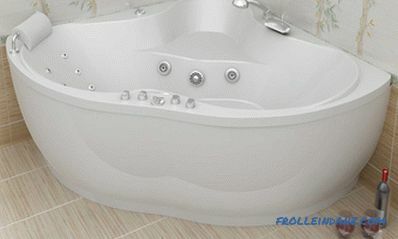 This was the reason for the popularity of the use of material for the construction of baths. If you water a wall of arbolit on the outside with a water that is not covered with water, there is a chance to see it inside. Therefore, the material is not used without a facade finish. For arbolita recommend finishing with plaster solutions or the device hinged facade systems. 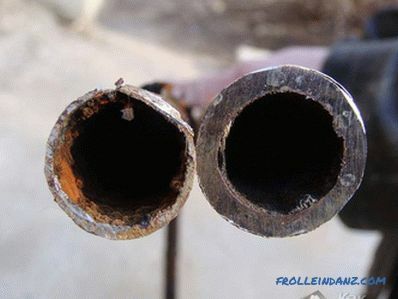 Gradual destruction of products during freezing and thawing occurs as a result of the expansion of water freezing in voids. The more water they contain, the less cycles of freezing - defrosting can withstand the material without destruction. Low sorption moisture absorption gives arbolit good resistance to freezing. The minimum value is F25 and reaches F50. 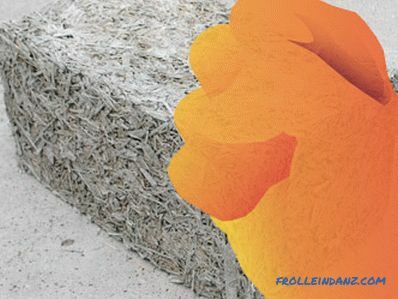 Protection of wood concrete against direct exposure to moisture allows to increase the real frost resistance of the material in the structure. In addition, there are real examples of the use of arbolite buildings for 7–10 years without damage to the walls. And we are talking about walls that are not protected from the effects of external environmental factors. It is believed that arbolit is not subject to shrinkage at all. But small shrinkage processes in the first months are still present. Basically, they stop at the stage of block ripening in production. An uncritical reduction in the block size (by 0.4 - 0.8%) is possible after the blocks have been placed in the structure. Some reduction in the height of the blocks may also occur under the weight of the overlying elements, floors and roof structures. To prevent problems with finishing it is not recommended to perform plastering in the first 4 months after the completion of the main complex of works. in smoke-generating capacity - D1, low-smoke material. 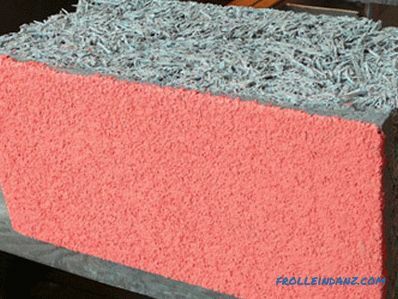 By sound absorption, arbolite blocks are superior to such materials as brick and wood. The noise absorption coefficient of arbolit blocks is 0.17–0.6 in the acoustic range from 135 to 2000 Hz. Arbolit is a breathing material; its vapor permeability is up to 35%. 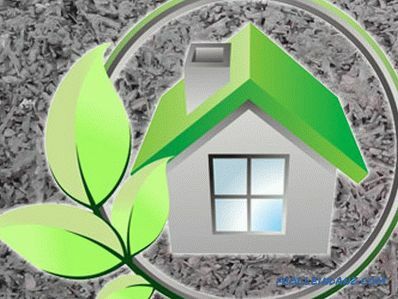 That is why in houses built from this material there is no dampness, and the microclimate is comfortable both in the cold and in the warm season. No matter how good arbolit is, material’s flaws should be known and taken into account. - 1. Abundance in the market blocks of "garage" quality. 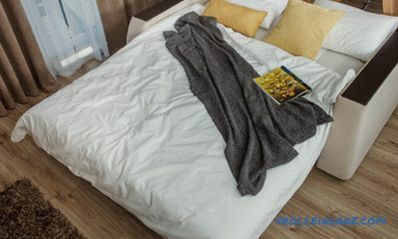 Their strength, heat transfer resistance is unknown even to the manufacturer. There are difficulties with the acquisition of factory arbolita in the regions. Above, we wrote about the most important moments of the production of wood concrete blocks. As you understand, it is simply not possible to perform certain tasks in artisanal conditions. - 2. Insufficient accuracy of geometry. 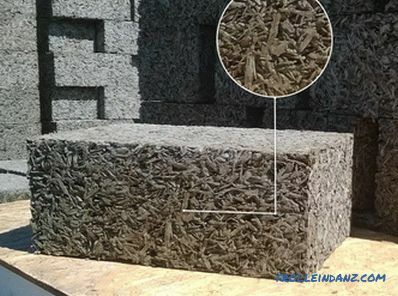 The accuracy of the geometry of wood concrete blocks is inferior to that of other lightweight concrete masonry stones (foam concrete, aerated concrete). This is especially true for industries with a large proportion of manual labor. Deviations in size and relative position of the surfaces make it necessary to increase the thickness of the seams up to 10 - 15 mm. And this leads to the freezing of the masonry at the seams, excessive material consumption and reduced speed of masonry work. Manufacturers recommend using warm perlite solutions for masonry, but their preparation is more expensive. Recently, surface milling has begun to be used to improve the geometry of the blocks. - 3. The need for protection from direct exposure to moisture. Unprotected laying in theory can be permeable to large wind pressure, but no real confirmation of this phenomenon has been received. Applying plaster to the surface solves permeability problems. - 4. 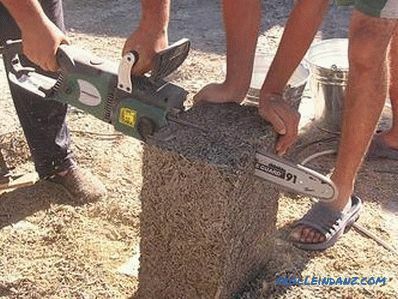 High cost of wood concrete blocks. This is due to insufficient automation of production processes, the degree of technology development and modest production volumes. 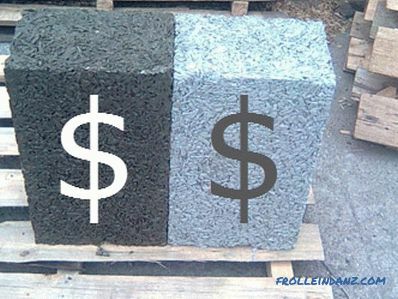 As a result, the cost of foam concrete and aerated concrete blocks is 1.5 times lower. - 5. The presence of restrictions in the choice of finishing materials. 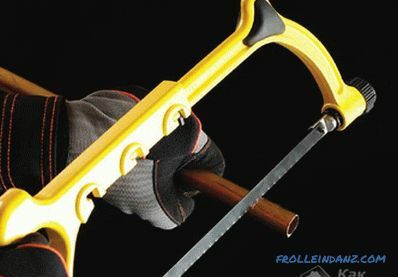 For proper operation, it is important to combine only breathing finishes with the arbolite masonry. + 1. 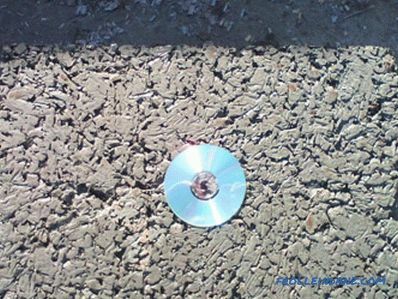 Environmentally friendly material. Even the mineralizers in its composition do not emit harmful substances into the atmosphere. + 2. Highest vapor permeability. + 3. Lightness of the material. The lightness of the material and its elasticity do not require a strong and rigid foundation device. An added bonus is earthquake resistance. + 4. Ease of processing. + 5. Easy mounting of fasteners. It is possible to drive nails into wood concrete and twist self-tapping screws, like in a tree. + 6. Low thermal conductivity. Excellent heat transfer resistance with sufficient strength for low-rise construction allows it to do without additional insulation and to obtain a single-layer wall structure. + 7. Low sound permeability. + 8. Rejection of reinforcement. Ability to abandon masonry reinforcement and installation of monolithic belts on small objects.